Drake was recently named one of the Most Stylish Men Alive by GQ magazine, alongside Eddie Redmayne, Idris Elba and Ryan Reynolds. The rapper is renowned for his cool and casual fashion and pulls off sweatpants in a way that only a world-famous rapper can. In fact, he even has his own line of laidback luxury T-shirts, sweatshirts and jackets. However, his latest look has somewhat divided opinions between fans and fashionistas alike. This week, Drake was tickled pink in a rather unusual and out-of-character outfit which he shared on Instagram. Drake’s ensemble may have been inspired by his latest hit, 4PM in Calabasas, which features the lyrics “Got the rose pink tinted lenses, it’s a Wednesday”. His new look featured a bright pink Juventus football shirt, which he teamed with a matching pair of pink aviator sunglasses; much more colourful than his usual look. So, is this a new style statement from Drake or a way to promote his new song? We don’t know, but we love his bold attitude to fashion and think he’s pulling off the pink eyewear look to perfection. Some people may think of pink sunglasses as a female-only trend, but Drake has proved that they can look great on men too. 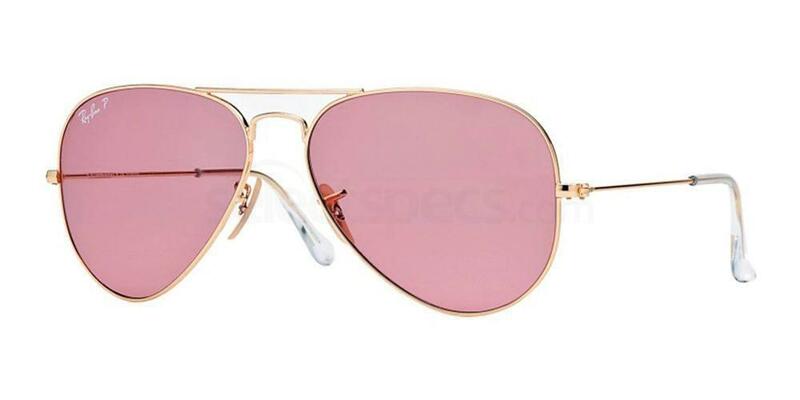 His sunglasses of choice feature retro-inspired gold aviator-style frames and pink-tinted lenses, which we predict will become a big trend in men’s eyewear this summer. If you’re feeling inspired by Drake’s funky fuchsia frames, here are our top three picks of pink aviator sunglasses for men. The Ray Ban RB3025 aviator is a classic style that never gets old and looks great on everyone. They’re most often seen in classic colour combos such as silver, black and crystal green, but Ray Ban aviators are available in a range of eye-catching colours, including this Drake-inspired shade of pink. 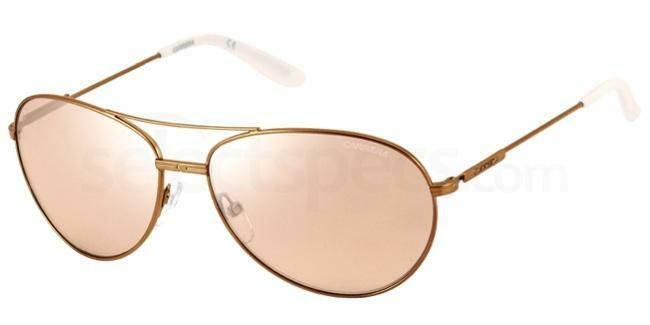 These Ray-Ban RB3025 sunglasses feature gold frames and pink mirrored flash lenses. If you’re looking for an almost identical dupe of Drake’s pink-hued shades, check out the Carrera 69 sunglasses from SelectSpecs. These retro-inspired unisex sunglasses feature oval-shaped gold frames and light pink lenses for an eyecatching look you can wear all summer. 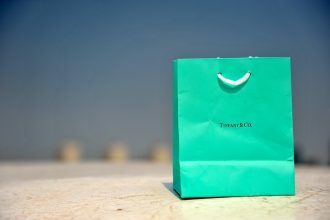 Finally, if you’re on a budget, which let’s face it most of us are, you don’t need to splash out on big brands. 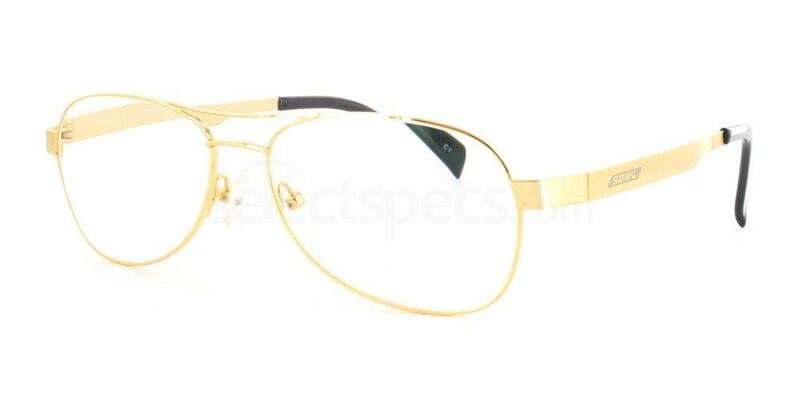 Take this SS Collection S1080 prescription glasses for example are a similar shape to Drake’s, but no pink lenses? After hitting ‘Customise & Buy’, choosing your lens type, entering a prescription or none, select ‘Tints & Graduated’ from the lens options. As you’ll see SelectSpecs have a range of different colours, but a Drake inspired retro aviator look you’ve got to go for the Pink tint, or the more appropriate Rose tint. 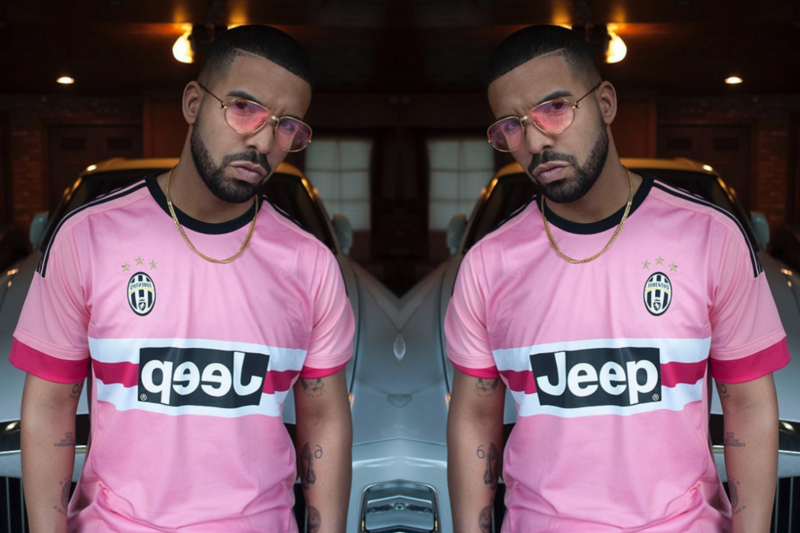 So, what do you think of Drake’s pink eyewear look? Will you be trying out a pair of rose-tinted shades this summer? Let us know your thoughts in the comments below or send us a tweet @SelectSpecs. See our favourite 7 Rihanna sunglasses looks here.